How comfortably you sleep is directly related to the bedding you use. Sleeping with the right kind of pillow can turn a regular night's sleep into a restful and rejuvenating experience. Being familiar with the different types of pillows available will help you pick the perfect one for your bed. Pillows vary in size, shape, filling, and support. From soft and downy to firm and foamy, pillows are made from a wide range of materials to cater to every possible sleep style. You’ll need to ask yourself a few questions to determine which type of pillow you should choose. Do you sleep on your side, back, or stomach? Are you allergic to down? Do you prefer the feel of a firm or a soft pillow? Keep the answers to these questions in mind as you continue reading to quickly narrow down your pillow options. The size of your pillow is important for two reasons: you need enough downy real estate to sleep comfortably and your pillows also need to fit your bed. Large pillows on a small bed or vice versa can seem out of place and throw off your bedroom aesthetic. A standard pillow fits a twin mattress, which is why it’s sometimes called a twin pillow. A jumbo pillow is just a couple inches longer, which is great for older kids and teens. Queen and king pillows are meant for their respective mattress sizes, with a king pillow being just a few inches longer than a queen. When it comes to pillowcases, each size should fit inside a standard pillowcase except for king pillows. Make sure you get king-size pillowcases to accommodate the extra length. Body pillows are even longer than king-size pillows, and euro pillows sport a square construction rather than the traditional rectangular shape. Use the dimensions of these types of pillows to find the right size for your bed. Your pillow filling, or fill, is the biggest factor when it comes to the comfort of your pillow. It also affects pillow consistency, weight, and price. Chances are you already have a pillow fill preference, even if you’re not sure what it’s called. Scope out the following pillow filling types to see which sounds like your best match. Who knows? Maybe you’ll discover a new favorite. Down is the warm, fluffy, and soft layer of feathers underneath a bird or fowl’s more prominent outer feathers. 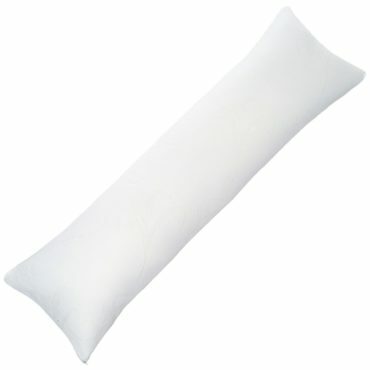 It is an excellent insulator and is a long-lasting fill option for pillows. Goose down is one of the most commonly used types of down for these premium pillows and other bedding. You should fluff down pillows weekly to keep them full-bodied and comfortable. Very few pillows are 100-percent down, but are a blend of feathers and down filling. When shopping for down pillows, pay attention to the fill power. This refers to the space one ounce of down takes up and is a good way to measure down-pillow quality. A fill power of 600 is considered good, but anything over 700 is considered especially high quality. Feather pillows make use of the layer of feathers beyond down. These feathers are still small and soft, but have more pronounced quills, which makes for a pillow that’s light, moldable, and more affordable than a down pillow. Over time, feather pillows tend to flatten out, so they must be fluffed regularly to keep them at their fullest potential. 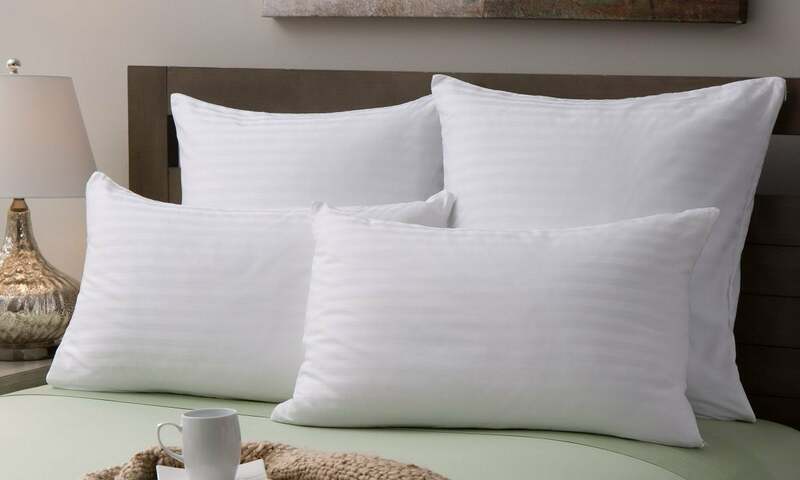 Polyester-filled pillows are versatile, affordable, and a popular option for those who are allergic to natural feathers and down. Because polyester is a synthetic fiber, it can be produced at a fraction of the cost of more premium pillow fillings. It’s also a low-maintenance option that can be tossed in the washer alongside your pillowcases and sheets. The downside to polyester is its tendency to clump, which means an eventual lumpy pillow with a much shorter life span than genuine down. However, at such an affordable price, it can still be a worthwhile solution for many sleepers. Cotton filling shares many of the properties of polyester: it’s washable, easy to produce, and hypoallergenic. However, it does sleep a little cooler than its synthetic alternative. Oftentimes, cotton is blended with polyester to give pillows a little more fluff. 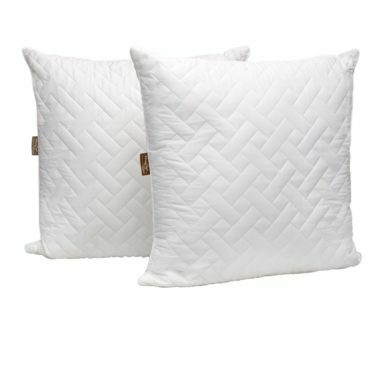 Be aware that cotton also clumps over time, which means that these pillows should be replaced every few years. 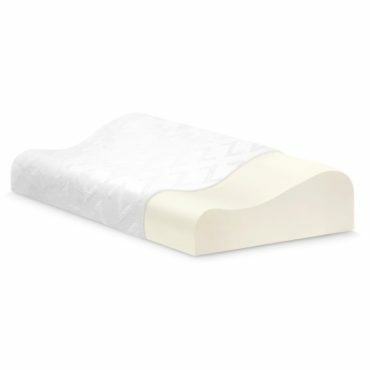 Memory foam is a unique material that is best for side and back sleepers. A memory foam pillow molds itself to your neck and head for custom support unlike any other. If you suffer from neck or spinal pain, your doctor may recommend using a memory foam pillow to help prevent discomfort. 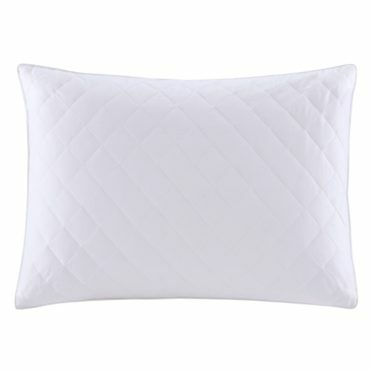 Most of these pillows are made of one solid piece of foam, which makes for a smooth and firm surface to rest your head. For a softer memory foam option, look for shredded memory foam pillows, which use small chunks of memory foam rather than one large piece. Latex foam pillows are like memory foam pillows in that they conform to your head and neck, but latex foam sleeps cooler due to its porous structure. Latex can be either natural or synthetic, with some pillows blending the two; however, all latex foam pillows are anti-microbial and hypoallergenic. These pillows offer the firmest support, so look for shredded latex pillows if you’d like a softer alternative. There’s no one-size-fits-all pillow. Everyone sleeps just a little differently, which has resulted in the various pillow shapes on the market today. Even though the majority of sleepers may still use traditional bed pillows, others have had their sleep experience bettered by changing things up. Don’t be afraid to try something new! See which of the following pillow shapes best suits your personal sleep style. These are the rectangular, fluffy pillows that most sleepers use. With a wide range of fill options, bed pillows have a tried-and-true shape that has made them a staple in bedrooms across the globe. Chances are you already have one or two of these pillows on your bed at home. Bed pillows can work for all kinds of sleeping styles. Euro pillows are square in shape and can be slept on or used as bed accessories. They come in many different sizes and are commonly used to add some visual variety to your pillow collection. Euro shams and pillowcases make it easy to coordinate these pillows with the rest of your bedding and change their look throughout the year. Body pillows are extra-long and perfect for side sleepers looking for some extra comfort and cuddles. Depending on its length, a body pillow can provide much-needed support between a sleeper’s thighs or knees, which alleviates pressure and relieves minor aches and pains. These pillows are also extremely popular among pregnant women, with U-shaped body pillows meant specifically for pregnant women called pregnancy pillows. 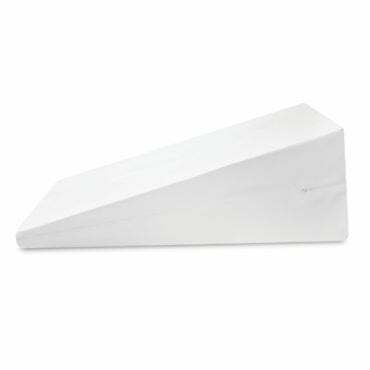 Wedge pillows are a back sleeper’s best friend, although they work for side sleepers as well. You can use a wedge pillow by itself or in conjunction with a head pillow. The wedge shape elevates your upper body, which helps keep your airway open while you sleep. This benefit makes wedge pillows popular among those with sleep apnea or snoring problems. Sleeping at an incline can also alleviate symptoms of GERD and acid reflux. 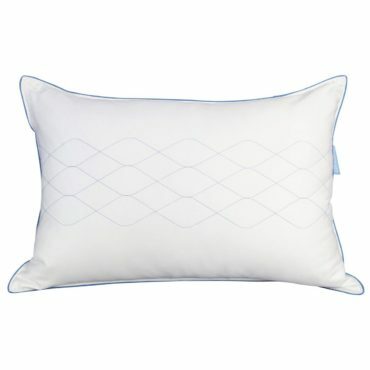 Contour pillows have a unique, wavy shape that is the result of years of clinical tests and trials. Meant for back and side sleepers, the contour pillow’s curved surface is designed to provide neck support, cradle you in a natural sleeping position, and help keep your airway open. 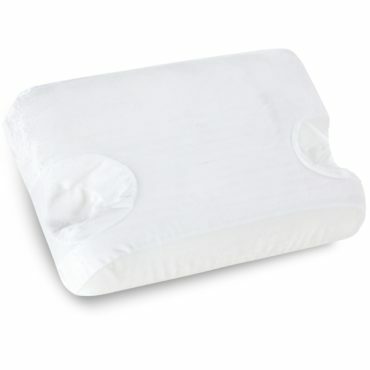 These pillows are typically made with foam for a firmer, more supportive feel. 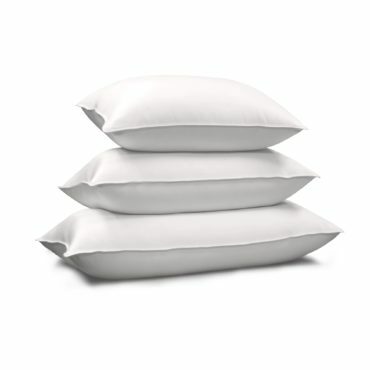 There are dozens of other unique pillow types out there, from buckwheat-filled cylinders to cutout pillows meant for CPAP machines. These kinds of pillows typically meet a very specific need and are not as commonly used as more traditional pillow types.